Most household items don’t typically come with an expiration date, so it can be hard to know when you are supposed to replace some of them. By replacing certain items inside and outside your house, you will enhance the function and safety of your home. And disposing of it is a piece of cake because all you need to do is call the most reputable waste disposal services in Leamouth E14, for example, and they will take care of it. Here are tips on when to update your home and replace some of your household items. Unless it breaks down, you should replace your refrigerator every 15 years. You can also do it earlier to switch to an energy-efficient model that will help you cut down your energy bill. 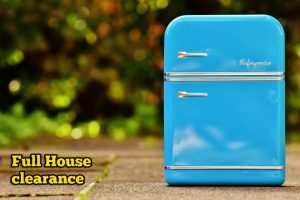 It is no secret that older types of refrigerators can use twice the energy of a newer model with Energy Star rating. Dishwashers are designed to last up to 10 years if you regularly maintain them and keep the tub and other parts in a pristine condition. However, just like refrigerators, new models of dishwashers are energy-efficient and can help you save money on your water and energy bills. As far as washing machines are concerned, they can last up to 12 years, with proper maintenance, of course. After you replace your washing machine or dishwasher, or any other appliance in your home, dispose of it properly by hiring a trusted waste clearance company in London. According to manufacturers, carpets can usually last up to 10 years. Proper maintenance can dramatically extend the life of your carpet but you will have to replace it eventually. If there are spots and stains that simply cannot be removed, or there are tears and significant wear on the main walkways, or you just cannot get rid of that nasty smell, perhaps you should say goodbye to it. If you or your kids suffer from allergies, you should consider replacing your carpet sooner because older carpets catch and retain allergens. According to manufactures, air conditioners can last 8 to 10 years. You can take steps to prolong the life of your air conditioner by regular maintenance, but keep in mind that temperature fluctuations, problems with humidity or weird noise coming from the appliance are a sign that you should fix or replace it. Just make sure to hire highly efficient waste disposal services in Hampton Wick KT1 when disposing of your old air conditioner.